It may be 2015, but in multiple ways, it's still a man's world. According to the Center for American Progress, women only make up 14.6 percent of all CEOs, and an even more measly 4.6 percent of Fortune 500 CEOs. And even in top-level positions, women may still make less than what men make. With so many challenges still blocking gender equality in the world, women need solid role models to illustrate that these challenges can be overcome. Of course, there are household names like Hillary Clinton, Oprah Winfrey, and Angela Merkel, but it's time to give the stage to some lesser-known names — the most powerful women, according to Forbes, whom you might not know, but are equally role-model-worthy. The importance of showcasing powerful women, as Forbes did with its annual May release, is multi-fold. It shows women everywhere that they, too, belong at the top. It reminds men that leadership is not intrinsic to their gender. And it shifts societal norms of what gender roles should be. But at the end of the day, these women are deserving of attention for their individual achievements. They might not be as famous as Meryl Streep or as glamorous as Anna Wintour, but each and every one of them is making equally significant impacts in their respective spheres. Here are nine of Forbes' most powerful women whom you might never have heard of, but you should absolutely get to know. As the managing director of the International Monetary Fund, the economic adviser and emergency fund for 188 countries, Lagarde has steered the world out of economic crisis. Earlier this year, the IMF projected 3.5 percent growth for 2015. The French exec, who came on board in 2011, has supported efforts to increase female representation in the labor force to curb inequality and poverty. If she isn't a household name yet, she certainly deserves to be. Dilma Rousseff is the first female president of Brazil, the seventh-largest economy in the world. Though she has suffered some approval rating slips recently, Rousseff and world leaders like her undoubtedly pave the way for other first female presidents — like, say, Hillary Clinton. Of all the women on this list — or on any list — Geun-hye Park might have the most difficult and stress-inducing job on the planet: keeping Kim Jong-un in check. The South Korean president just recently had to oversee peace talks between her country and its northern neighbor after artillery fire was exchanged, bringing the two countries into a "quasi-state of war." Another groundbreaker is Virginia Rometty, the first female CEO of computing giant IBM. Among her many contributions to the company, Rometty is navigating IBM's growth strategy by leading it into cloud computing and the analytics business. Meg Whitman's career closely resembles fellow businesswoman/politician Carly Fiorina's. One year before she became the CEO of Hewlett-Packard, a position Fiorina held from 1999 to 2004, Whitman also had political aspirations. She ran for governor of California in 2010, but lost to Jerry Brown. In 2008, The New York Times called her one of the women most likely to become the first female U.S. president. Even if you object to drinking soda, you cannot deny the leadership skills of PepsiCo CEO Indra Nooyi. She is currently spearheading a budget plan to cut costs by $5 billion, which comes off of a very successful year, in which the company saw a $8.7 billion return, a 36 percent increase from the year before. 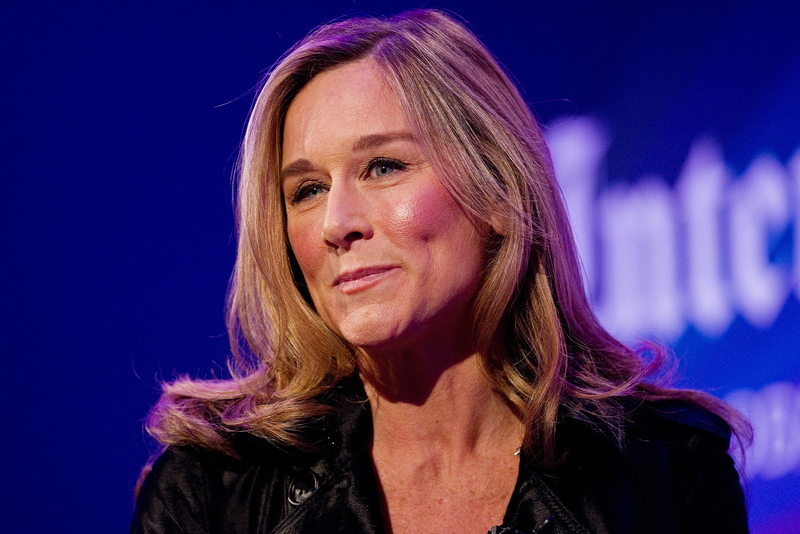 Of Apple's 10 executives, Angela Ahrendts is the only woman, and the first on CEO Tim Cook's team. Clearly, Cook saw something in her, because when he hired the senior vice president of retail and online stores, he said in a company-wide email: "I had never met anyone whom I felt confident could lead both until I met Angela." Previously, she brought Burberry out of obscurity and into the fashion forefront as the house's CEO, and now she's credited with opening more than 400 brick-and-mortar Apple stores around the world.